If you can’t hang with the big dogs, you stay on the porch! 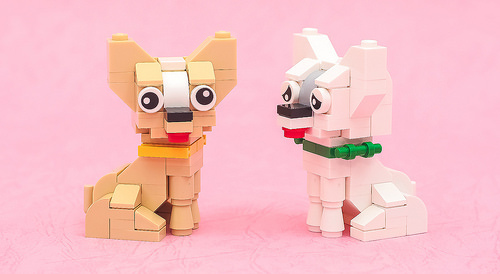 Here is an adorable couple of Chihuahuas by delayice to celebrate the start of the weekend. Take a moment to note how adorably grotesque both dogs are and how recognizable the overall shape is. How can one not fall in love with these silly eyes and enormous ears?